Cut the lavender last night, ready to dry and make into lavender bags and so forth (if I ever get round to it….). 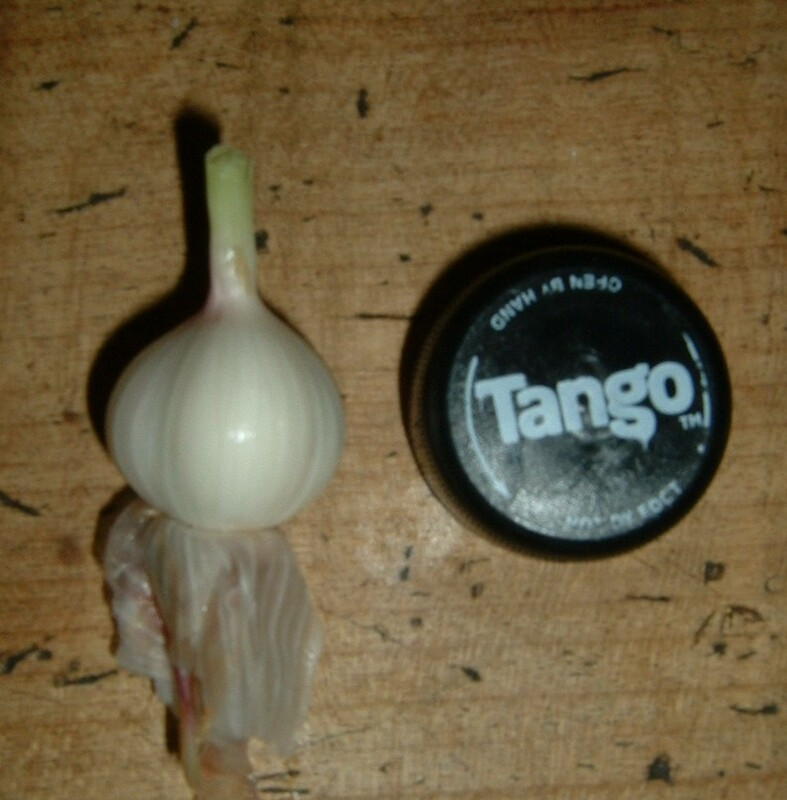 Then today, I lifted the garlic. 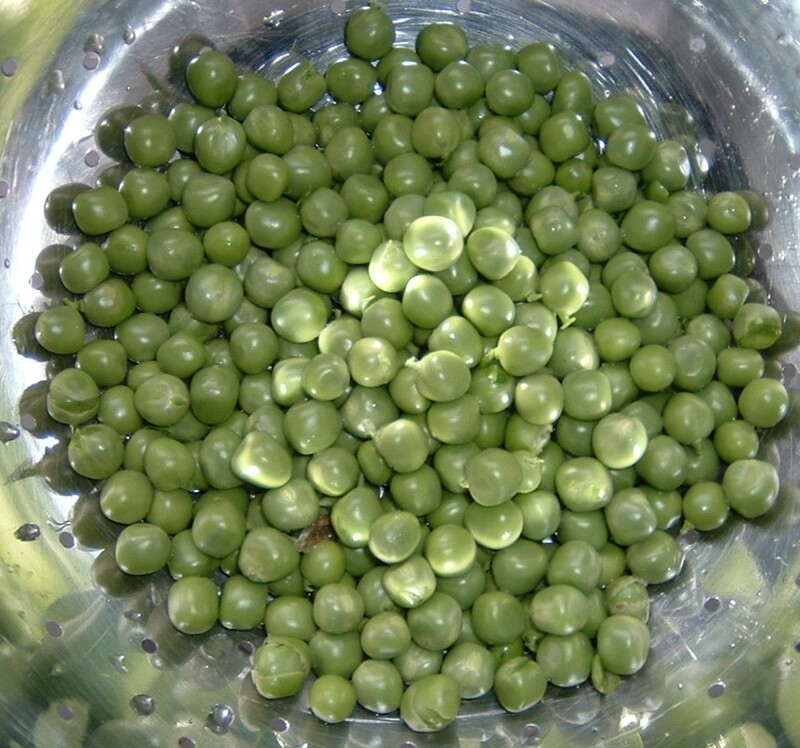 They’re a bit on the small side, but look healthy enough (something of a miracle given the prolonged wet weather). I’ve hung them to dry out a bit on the butcher’s hook in the kitchen. At least it should keep the vampires away! I’ve used some of the herbs in my attempt at homemade fly repellant for the horses (cold tea, vinegar, rosemary, thyme, lemon mint, lavender). Have no idea if it’ll work or not – if not, the horses will just smell funny! 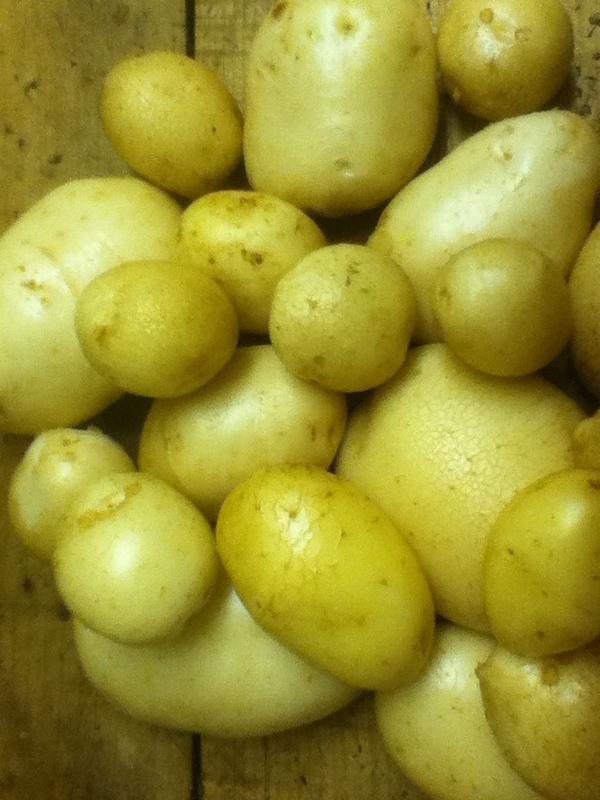 Oh, and I also lifted the first of the potatoes this evening – these are the ones which simply decided to grow – not the ones I carefully planted! Despite all the rules about not growing them in the same place twice, they seem to have done quite well. Managed to get back in the garden this morning for a bit. 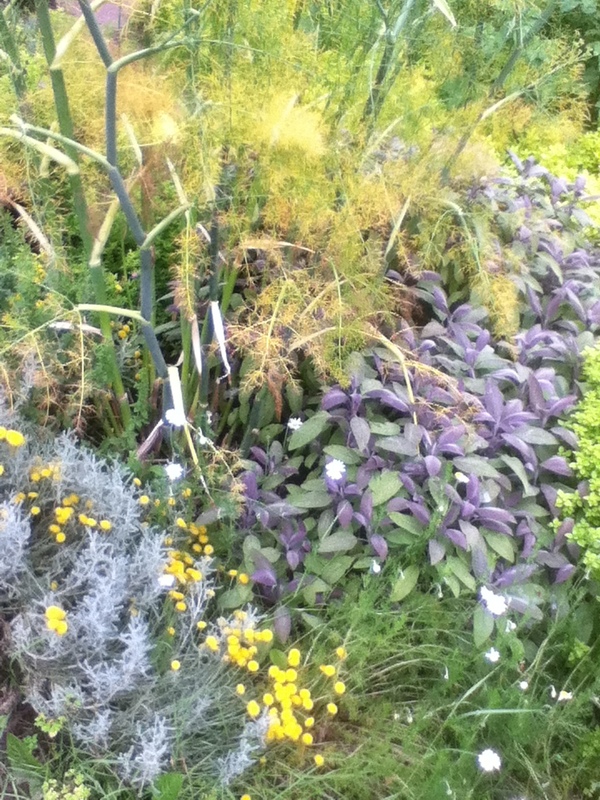 So therapeutic – a few minutes weeding or digging, and all’s right with the world. 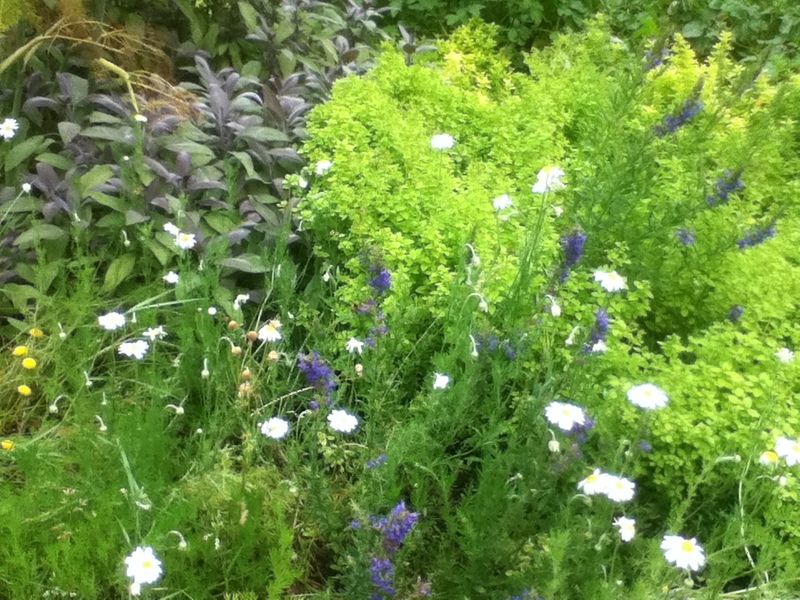 Doctors should prescribe gardening, rather than pills, to combat stress and so forth. 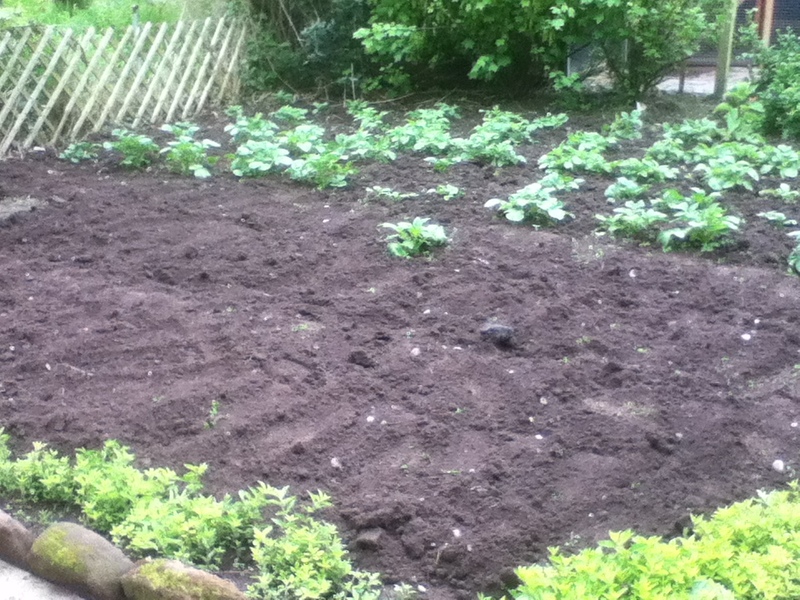 Got the remainder of the seed potatoes in – so that’s the whole patch complete. The earlies are coming along beautifully, so I’m hoping we’ll have a good crop this year – and perhaps better spread so they don’t all mature at the same time! 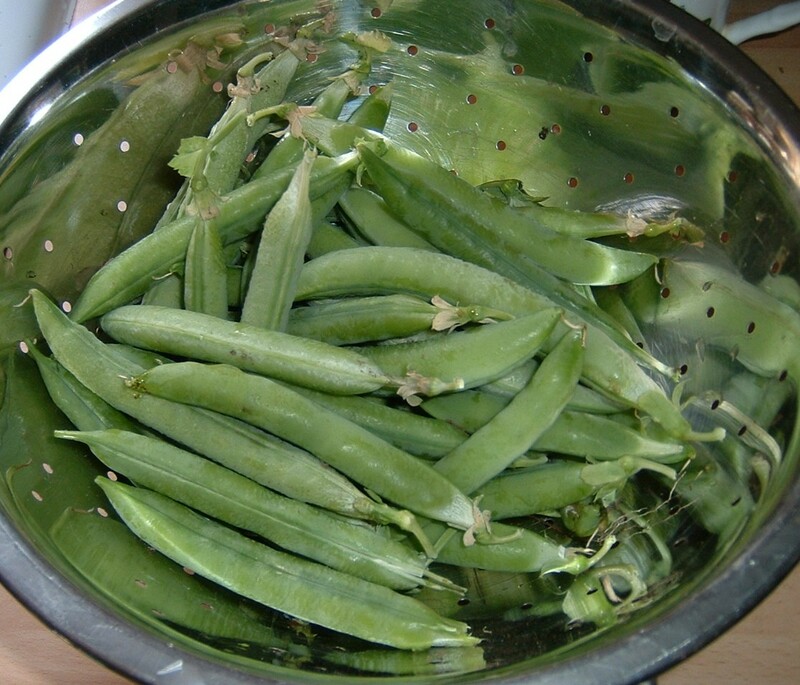 So, those first earlies I put in right at the beginning of the year – and harvested in the summer – well, they’re coming up again! I must have missed the odd one from each plant because I have near perfect new rows coming up! It’s just a bit bizarre. 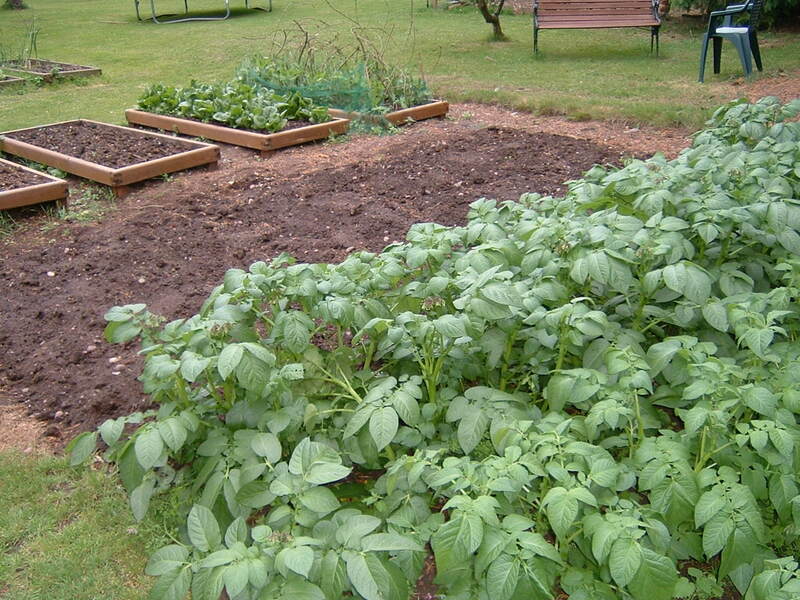 I wasn’t intending to put potatoes in that patch again in 2012 – thinking of blight and so forth – I was intending to put the potatoes back in the old veg plot and move some of the other veggies to the new one. But apparently nature has other ideas. I think what I’ll do is leave them for the moment, start another ‘proper’ crop in the old bed as planned, and fit the rest of the veg in and around as necessary. They may of course get killed off by the winter weather anyway and come to nothing. As with everything in the garden, time will tell. 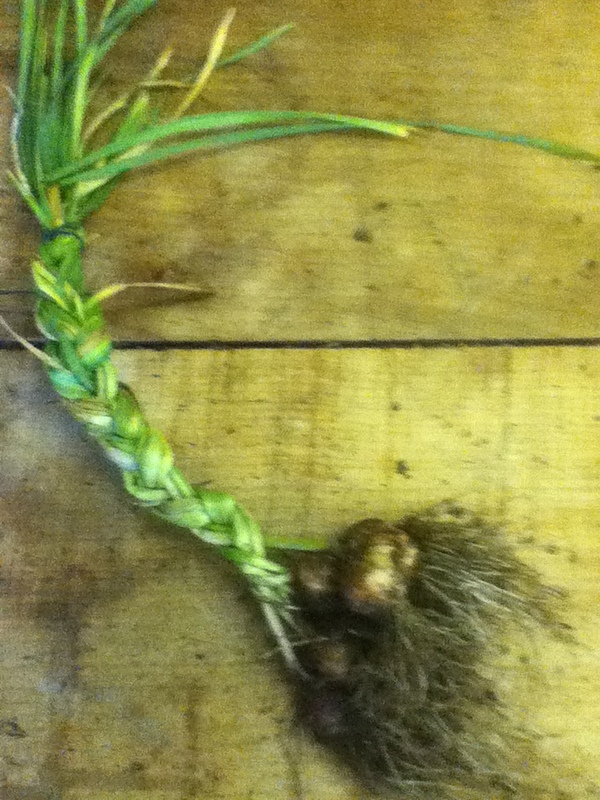 Having put my first earlies and second earlies in so…erm….early, I kind of forgot about the mids and the lates….. 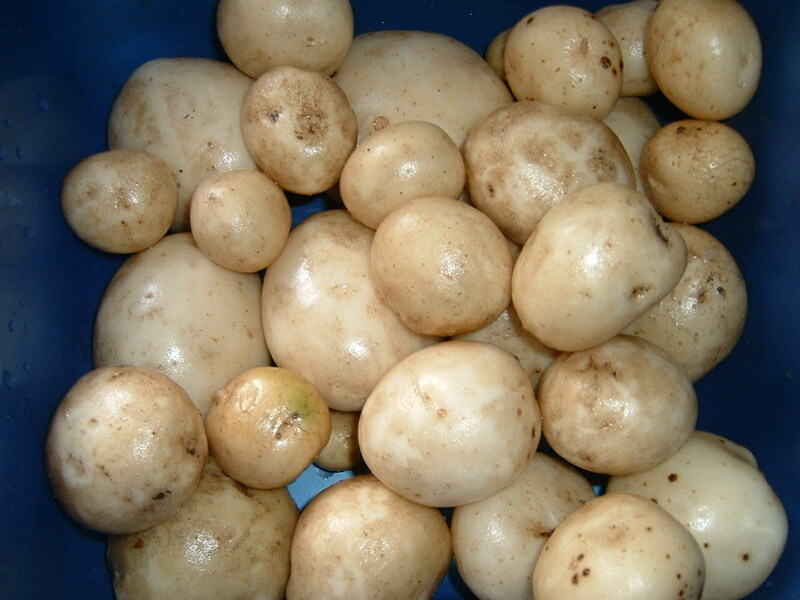 Anyway, popped to a local independent nursery this afternoon, and picked up some more seed potatoes (Wilja) to give me a mid-crop. Three and a bit rows dug in – which should do us. As you can see, the earlies are going great guns – only the second earlies are still ahead of the first! There’s no accounting for the vagaries of nature, is there?! 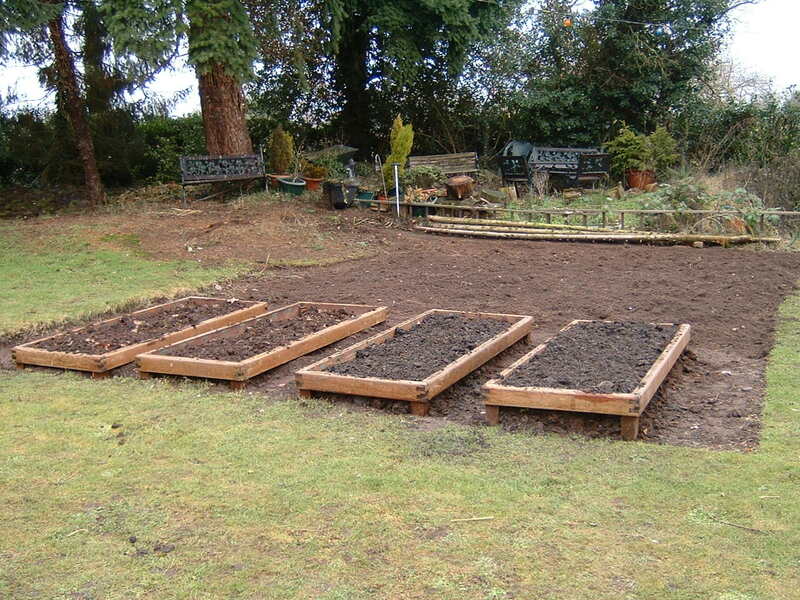 Finished off the last of the leeks from the winter (in a cottage pie – had to improvise as we had no carrots), so that’s another raised bed clear for some more goodies. The new potato bed is finished at last! Can’t wait for next month when the first earlies can go in!